1. Prepare the vinaigrette: In a bowl, whisk together the lemon juice, olive oil, vinegar and salt. 2. In a large bowl, mix the tomatoes, apricots and onions. 3. Add the vinaigrette. Stir well. 4. 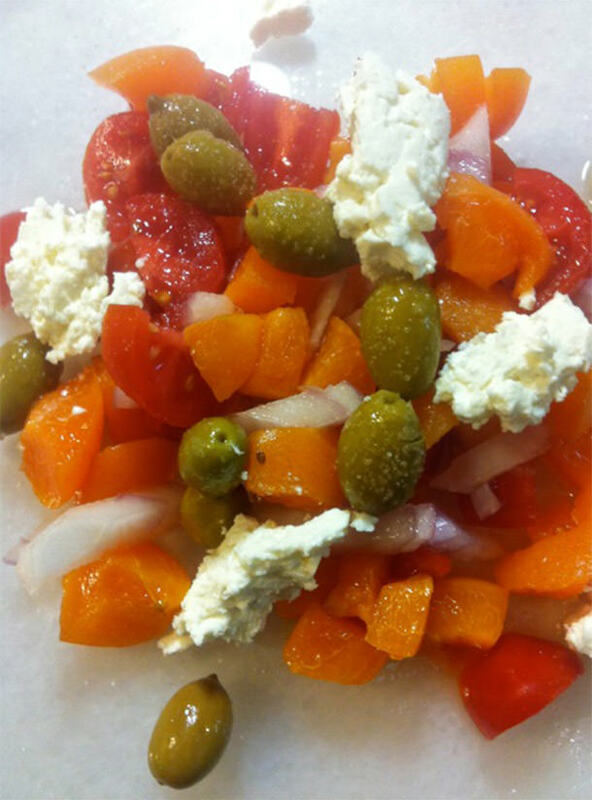 Serve the salad and top with some crumbled feta cheese and olives. 5. This salad is perfect for grilled chicken or seafood.